If it is at all possible to express the philosophy & ideas of Kyokushin Karate in a single word, then "OSU" would be that one word. In Kyokushin every question is answered with osu. Every greeting is Osu. Every instruction or question in class, is answered by “Osu” instead of “yes” or “I understand”. When performing kihon waza (basic techniques) in class, each technique is often accompanied with a loud “Osu”. When practicing jiyu kumite (free fighting) in class and your opponent lands a good, hard technique, you say “Osu” to acknowledge your opponent’s skill. As a measure of respect, knockdown fighters at a tournament bow and say “Osu” to the front, to the referee and to each other, before and after the fight. 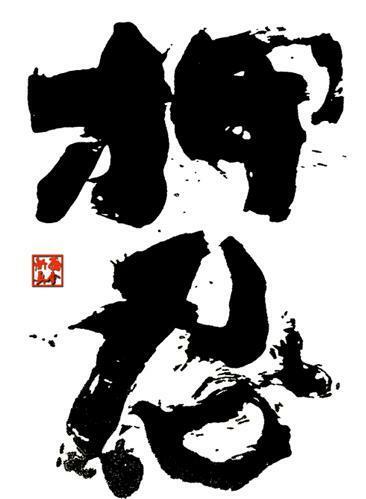 Osu is a combination of the words: Oshi which means “Push”, and Shinobu whihch means “to Endure”. It means patience, determination, appreciation, respect and perseverance. In order to develop a strong body and strong spirit it is necessary to undergo rigorous training. Kyokushin training is very demanding. You push yourself until you think you’ve reached your limit. First your body wants to stop, to give up, but your mind keeps pushing you. Then your mind wants to stop, but your spirit keeps you going. When you reach this point you must fight yourself and your weakness and you must win. To do this you must endure the pain, you must learn to persevere, but above all you must learn to be patient. That is Osu! Kyokushin karate is not learned overnight. It takes years to properly learn the fundamentals. The basic techniques are performed thousands of times (ren ma – “always polishing”) until they are done by reflex or instinct, without conscious thought (mushin – “no mind”). It’s easy to get frustrated by doing the same thing over and over again, especially when progress seems to be slow. To overcome that frustration and continue training takes patience and determination. That is Osu. The reason you subject yourself to hard training is because you care about yourself, and to care about yourself is to respect yourself. This self respect evolves and expands to become respect for your instructor and fellow students. When you enter the dojo you bow and say “Osu” . This means you respect your dojo and the time you spend training there. This feeling of respect is OSU! During training you push yourself as hard as possible because you respect yourself. When you finish you bow to your insructor and fellow students and say “Osu” once more. You do this out of appreciation. This feeling of appreciation is OSU. The ultimate devotion needed to live Kyokushin’s way is Osu.